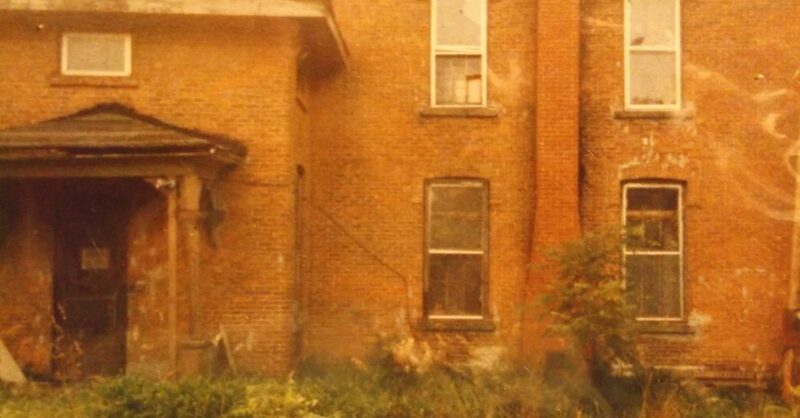 When last we met, I was leaving the property of an old brick mansion once located just outside of Watkins Glen, NY, contemplating a 1990s adventure in Urban Exploration (UrbEx) or if you prefer Urban Spelunking. This particular trip left a lasting impression and raised several questions to which I still do not have answers. But, thanks to my overly-active imagination, I was able to make one up and use it as part of the creation of my upcoming novel Dark Hollow Road. Spelunking is ‘the hobby or practice of exploring caves’. Urban Spelunkers commonly explore empty and abandoned homes, mansions, hospitals, factories, and the like regardless of No Trespassing signs. Though they are breaking the law, UrbEx-ers also have a certain code of respect for the places they enter. Unlike vandals, UrbEx-ers are there to document, not destroy or tag with spray paint. It’s considered a big no-no to take anything from the buildings or former homes. If you do touch something, you put it back where you found it. You leave with the experience, still photos, video, and nothing more no matter how tempting it may be. And, oh man, were we tempted exceptionally hard one summer day in yet another grand home just north of Watkins Glen. Unlike the previously mentioned brick house, this white, Greek Revival home was anything but empty. We found it during one of our many drives in the country, seeking out old cemeteries and abandoned homes to explore. This time, we had a few friends with us. Drawn curtains obscured our view from the outside. Someone tried the front door. Locked. A door on a smaller side wing, also at the front of the building, had a padlock on it, an open padlock. Bingo. We were instantly awed and nearly speechless. The first room was filled with glass showcases and displays containing one antique item after another. Had we just walked into a museum or something? Though a bit on the dusty side, it was pristine and carefully laid out. There were even labels on many of the items stating their history. After this room, we went into the main part of the house and became even further enthralled. It was as if we’d walked into the late 19th century. Here was a kitchen with a cast-iron cook stove and hand water pump at the sink. A prep table for cooking, glass jars filled with canned fruits and vegetables in the cupboards, cutting boards, and mixing bowls waited the cook to return any moment. The dining room table was set with white lace and china, crystal and silver. A buffet lacked only to be filled with steaming plates of food. We passed through a servant’s quarters where a pair of well-worn shoes had been placed beside a narrow bed with thin blankets. Upstairs, the owners sleeping chambers proved much more opulent. Clothes even hung in the closets. This was completely unbelievable and slightly insane. During this surreal visit, that sixth sense of mine kicked in. Each time I walked through the dining room this almost overwhelming feeling of being watched would prickle the hairs on my arms. It was so strong that I could barely remain in that room. The room felt cold, heavy, and wet, making it hard to breath. I felt dizzy and disoriented and all around creeped out. I’m convinced we were being scrutinized by the ghostly inhabitants of the place as they made sure nothing was taken. What they would have done had anything been stolen, I don’t want to guess. Karma is freaking weird like that and I’m not taking the chance. We stayed maybe twenty minutes before heading back out, undiscovered and as far as I know, empty handed. In the days that followed one of our number found out who the owner was – who verified that the building had once been a museum open to the public – confessed our visit, and told them about the padlock. The lock was quickly replaced and properly locked. Unfortunately, far too many people don’t have the respect or self-control we had that day. Fast forward to 2011 and a new TV show called “Haunted Collector”. The creator, John Zaffis, is a paranormal investigator who collects items that he and others believe to be trigger objects for all manner of haunted activities. The premise is that any item can hold the memories and emotions (both good and bad) of its owners. It can be anything from a painting to a ring, an old, rusty toolbox or a gun possibly associated with a murder. Zaffis and his crew hunt these items down and theorize that by removing them from the property (with the permission of the current owner) they can end the paranormal activity. It works for them, but what if the reality of the situation has the complete opposite effect and not on the home owner, but the person who took the item? I’ve heard many cases of people taking trinkets from places and finding themselves haunted or even possessed by the spirit who holds that seemingly useless item in very high regard. Is that a risk you, as an Urban Spelunker, are willing to take? Is that little chipped teacup or battered old postcard worth risking your life or sanity over? Welcome to rural Pennsylvania and the Brown resident, the only house on this side of Dark Hollow Road. Since the flood of ’72 and the washing out of the bridge, Dark Hollow Road has been a dead end. No one lives there, or so it seems. The yard is a tangle of overgrown weeds. The front porch is unstable and rotting away from decades of neglect. Cardboard has been tacked over the windows from the inside on the ground floor and the window frames are nailed tight to the sills. Should you find your way inside, save for an old cast-iron cook stove and a few items of no real value or consequence, you’d find nothing but a quiet emptiness. And yet – there’s something, isn’t there? Something not quite right. Something not quite sane. Something not quite dead. How much do you value that trinket now? Dark Hollow Road – a disturbing psychological horror driven by hate, fear, and every parent’s worst nightmare. Due for release March 2018 from Ardent Creations. Urban Exploration, also known as UrbEx or Urban Spelunking (spelunking being ‘the hobby or practice of exploring caves’) takes its practitioners into the realms of man-made structures, most commonly empty and abandoned homes, mansions, hospitals, factories, and the like. No Trespassing signs don’t seem to mean much to the dedicated UrbEx-er. In fact, to some that’s as good as a welcome mat, even if one has to enter these sometimes dangerous structures at night under the cloak of darkness. As a teen living in a small town surrounded by rural farmlands, UrbEx didn’t come into play very often. If an empty place did happen to crop up, chances were it was in pretty close proximity to another house and the person who lived there probably knew you, your siblings, your parents, and your grandparents. It wasn’t a chance many were willing to take. Getting grounded from what little there actually was to do around town was not a punishment we took lightly. However, once you or your friends earned yourself a driver’s license and access to a car, more opportunities to explore begin to arrive. I was a late bloomer when it comes to driving. I didn’t get my license until I was nineteen. My own car didn’t come into the picture until I was twenty-two and permanently moved out of my childhood home. For the next five to ten years, urban spelunking took on a whole new thrill. We, meaning the man I would marry in 1989, didn’t have a lot of extra money so our sources of weekend entertainments were limited. Luckily, we both loved to search for and explore abandoned houses. Looking back I am surprised at how many we actually found. There were dozens! Many times we could do little more than peek into the windows. We’d never break locks, doors, or windows to gain access. When we could get in, the first order of business was to make sure the floors weren’t so rotted away we’d find ourselves crashing through them into the unknown darkness below. Once in, we’d start photographing our finds, and I’m somewhat ashamed to say, taking a small memento from the place if something appealed. Some dwellings had little to offer beyond a dead bird that had gotten trapped inside who knows how long ago. Others would show signs of some sort of occupation going on, squatters, a hangout for partying teens, drug users, maybe the place a homeless person called home. In one instance, we walked into a fully furnished, museum-quality mansion that blew our minds. There was also that little psychic-ghost hunting part of us that hoped to feel or see something paranormal in every dwelling we made our way into. This actually happened twice that I can recall. At one location, a massive two-story brick home only a few miles outside of Watkins Glen, NY, was nestled quite a ways back from the road with the driveway barely passable. It was nearly impossible to even see in the summer unless you knew exactly where and when to look as you drove by. The leafless trees of winter offered a much better view of the place from the road. Our visit took place on a hot summer day, pulling the car in as far as we dared to keep it out of sight. We went in through an already open back door by way of some sort of garage full of empty plastic milk jugs. The ceilings in this place were at least ten feet high and the original woodwork around the doors and windows intact. There was evidence of an occasional occupant, small piles of empty beer and soda cans, filled ashtrays, a battered sofa and some ragged chairs with crumbled clothes nearby, the burnt out nubs of candles. When you see things like this, you really start to pay close attention to the sounds around you. As we headed out and began walking around the outside, a soft sound drifted by on the warm breeze. It only happened once, but it sent a strange little shiver down my spine. It was the sound of a woman humming; just two notes, a bit like “yoo-hoo” only gently hummed and nearby. The image of an elderly, heavy-set woman sitting in a rocking chair on a front porch snapping beans, popped into my head. Real or imagined? Spirit or something much more of this world? I don’t know. It does give one pause, though. 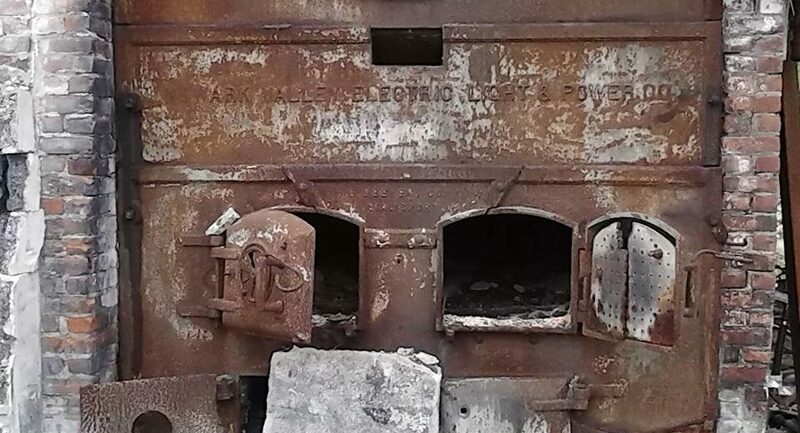 If the spirits of the dead are lingering in and nearby these abandoned places, that do they make of UrbEx-ers with their cameras and flashlights. Do they see us as we might see them, wisps of sounds and motions? Or are we as solid to them as we are each other? Do they resent our intrusion and consider us trespassers and thieves? 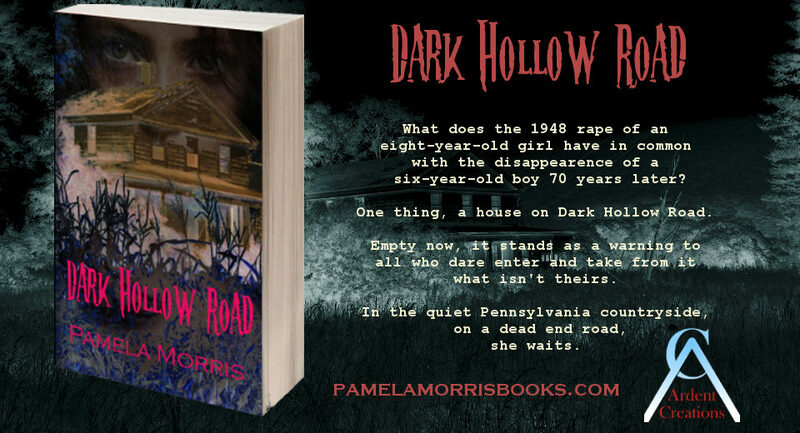 This incident and the questions it raised have stuck with me for close to thirty years now and would eventually contribute to the writing of my psychological horror novel “Dark Hollow Road”. There’s a house on Dark Hollow Road that by all appearances is unoccupied, just like the one mentioned above. The locals say the last time anyone lived there was back in the late 1970s. The doors are all locked. The windows on the first floor are nailed shut and covered from the inside. To date three children have gone missing in its proximity. The house contains a past filled with terror, a present full of dread, and a future obsessed with revenge. Stay tuned for further posts about my UrbEx adventures and how those experiences led to the creation of “Dark Hollow Road” – a story driven by hate, fear, and every parent’s worst nightmare. Heading your way Spring 2018. UrbEx & The Dawning of Dark Hollow Road – Part 1. The popularity of UrbEx (aka Urban Exploration) doesn’t really surprise me. What does surprise me is how so many people seem to think it’s a new phenomenon. It’s more visible now thanks to such YouTube channels as Baltimore, Maryland-based Dan Bell’s FILM IT and the European (Dutch, I believe) BROTHERS OF DECAY, but it’s been around for generations. Also known as Urban Spelunking (spelunking being ‘the hobby or practice of exploring caves’) UrbEx takes its practitioners into the realms of man-made structures, most commonly empty and abandoned homes, mansions, hospitals, factories, and the like. No Trespassing signs don’t seem to mean much to the dedicated UrbEx-er. In fact, to some that’s as good as a welcome mat, even if one has to enter these sometimes dangerous structures at night under the cloak of darkness. In one of the earliest memories I have as an UrbEx-er, I couldn’t have been any older than ten or eleven and very much the tomboy. Across the road from the house I grew up in was a mysterious barn-like structure. This wooden, red building had three large garage-type doors on the front, no windows on the ends and only one at the back. This single window was usually made inaccessible by stacks of rough-cut timbers. It was owned by the lumber mill and fine furniture factory at the end of the street, appropriately named Mill Street. 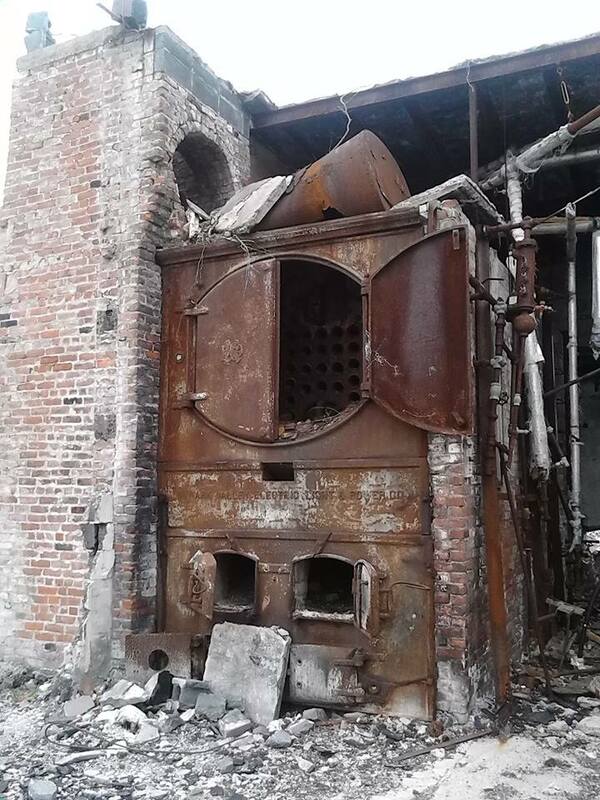 You can find some awesome pictures of what is left of this mill at The Explorographer’s SLEEPY HOLLOW SAW MILL post. Not much remains of the mill anymore. Much to my parents and grandparents horror, we played a lot across the street during the weekends when the mill was closed. We climbed on, raced between, and flirted with gravity and the possibilities of one of those tons-heavy twenty-foot long timbers shifting and crushing us to death on a regular basis. The cut wood was bundled and placed in stacks that swayed precariously as we climbed to the tops and jumped from one to another, like Superman leaping across buildings in a single bound. We scrambled and clawed our way to the top of the sawdust pile made by the enormous saws that did the initial bark removal outside, and rolled down them, sometimes into a puddle of mud. It wasn’t only dangerous play, it was messy. But, what we really needed to know was, what was in that red building and how could we get in to find out? During one fateful summer afternoon, the opportunity presented itself. During a game of hide and seek, someone discovered the stacked wood was at such a height and distance as to provide the thin and nimble kids that we were, easy access to the lone window some ten feet up. A sheet of outward-swinging hinged plywood covered it and we could see the simplest of hook and eye latches holding it loosely in place. That lock and the inch-wide gap it displayed was no match for a sturdy stick. The hook was quickly popped from the eye and the covering opened wide. Behind it we were met with a multi-paned glass window and another simple hook and eye latch. In this case the window swung open inward at the bottom and the latch holding it shut was right there, unobstructed from our eager fingers. It was freed, offering us a two foot wide gap into the building. One of our hooligan numbers peered in, ooohed, and slithered in through the gap. What wonders awaited us? What was so valuable to the lumber mill that they kept it under lock and key in an almost windowless building? The rest of us quickly wiggled our way in one at a time, ready to be amazed! As we passed through the window, each of us rolled onto a very smooth, hard, light brown surface. Cardboard. Huge sheets of cardboard, strapped together in giant bundles ready for the forklift operator to come along and haul a stack back to the factory to box up fully-assembled hardwood tables, chairs, dressers or cabinets. Box storage. That’s all it was, boring, folded up boxes! What a rip-off. We’d endangered life and limb to find a bunch of stupid, flattened out cardboard boxes! We spent a few minutes atop the stack we’d entered on and talked. I’m sure pondering the thrill of it all, but quickly grew bored, as the minds and bodies of restless ten and eleven-year-olds will do. We crawled out the way we came in, slipping the hook and eye lock of the glass window back into place and closing the plywood shutter as best we could before climbing down to the safety of ground level – an adventure had, a mystery solved. For me this was the dawning of a new fascination. This interest would wax and wane over the years and would eventually lead to the writing of my Psychological Horror novel, “Dark Hollow Road”. You see, there’s a house on Dark Hollow Road that by all appearances is unoccupied. Even the locals say the last person to live there was back in the late 1970s. The doors are all locked. 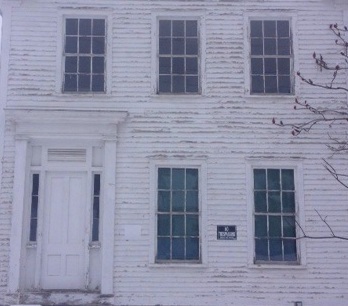 The windows on the first floor are locked and covered from the inside. And, to date, three children have gone missing within close proximity to the place. Stay tuned for further posts about my UrbEx adventures and how those experiences led to the creation of “Dark Hollow Road” – quite possibly the darkest and most disturbing story I’ve ever written. Coming your way in the Spring of 2018. What with all the hoopla going on about The Conjuring, (which I have yet to see, btw) and the myriad of ghost hunting shows out there, I figured it was time I shared my own ghostly experiences. It truly makes no difference to me whether others believe in this sort of thing or not. My boyfriend is a total non-believer and I still love him regardless. The earliest true ghost story I was told came to me from my maternal grandmother, Angeline. She was visiting friends for the weekend and had been given the spare room to sleep in. This room was used by anyone who came to visit them, including numerous grandchildren. On her first night there, she was preparing for bed. As was her habit, she always read a bit before turning off the light for the night. She was doing just that when the door opened and a little girl entered the room already dressed in a simple, white nightgown. The child smiled at my grandmother and asked if she could sleep with her because there wasn’t any other place to sleep. Angeline, of course, didn’t hesitate to let the child hop into the big bed with her which the little girl did and wished her a good night. Gram finished her chapter shortly after, turned off the light and went to sleep herself. By the time morning came about, the child had already gotten up and left the room. Gram got herself up, dressed and headed out to the kitchen where coffee was brewing and breakfast was already starting to be made. As she got her coffee, she asked her friends which grandchild had come to visit. They shook their heads and denied that there were any grandchildren there at all for the weekend. Gram told them about her little night visitor. It was then that they both smiled and said, “Oh, that’s our ghost. She shows up sometimes.” Prior to this, they had never mentioned this presence to my grandmother. My earliest personal experience I’d have to put around the age of 11-12. At the time my best friend, N., was living in a very large, very old house. Keep in mind the house had two staircases. There were the front stairs with a fancy carved, curved banister – lushly carpeted at the front of the house. At the top was her brother’s room, to the right was her parent’s room and her room was located through a doorway at the start of a long hallway. At the opposite end of this hallway, that was lined with doors, was the bathroom. There were at least three more bedrooms they didn’t used up there. Beyond the bathroom was the second staircase that lead to the back of the house and the kitchen. As we sat up in her room talking and playing records we heard someone come running down the hall, knock on her bedroom door then run back down the hall. N. had an older brother and this sort of activity would be right up his alley so we didn’t really pay much attention. It happened again a few minutes later. The sounds were very clear and we both heard them. The second time she told him in true little sister fashion to “Knock it off!” as she pulled the door open. Of course, there was no one there but clearly he’d made his way down the front stairs quickly. N. closed the door and we went back to whatever we were doing but kept our ears open, determined to catch her brother in the act. Running footsteps, KNOCK KNOCK KNOCK… N. yanked the door open. The hallway was empty. We went downstairs to where her parents and brother were sitting watching TV. N. said, “Mom, tell B. to stop coming upstairs and knocking on my door!” Her brother, who was sprawled on the sofa looked up, kinda confused, “Huh?” Her mother said, “He’s been sitting here watching TV with us for at least an hour.” N. and I looked at each other with surprise and retreated back upstairs to her room. The sounds did not happen again that night. Many years later when I was newly married, my husband and I were searching for a house to buy for our new family. We wanted something old, with character and maybe a little bit out in the countryside. During our search we found a lovely house and prior to contacting the realtor we were having a look around the outside of the place. It needed work but it looked big enough and the location suited us. It was early Autumn and leaves were already changing and falling to the ground. The front yard was scattered with them and as you walked they made that lovely sound of rustling. I was on one end of the house, towards the front. My husband, R. was on the other side towards the back. As I stood looking up at the eaves and determining that a paint job would be in order, I heard the leaves moving as of someone coming back around to where I was standing. Assuming it was R. I didn’t pay too much attention. Movement caught my eye and I looked down to see a youngish woman in a white dress that dated around the turn of the century round the corner of the house. She had brown hair that was loosely pulled up into a ‘Gibson girl’ style. I looked right at her and she at me. Then she was gone. No fading away just suddenly not there. Startled and excited, but not scared, I went in search of R. and told him what had just happened. Though we did not go on to purchase this particular house, we did find one more in town and where I still live, that is also haunted. 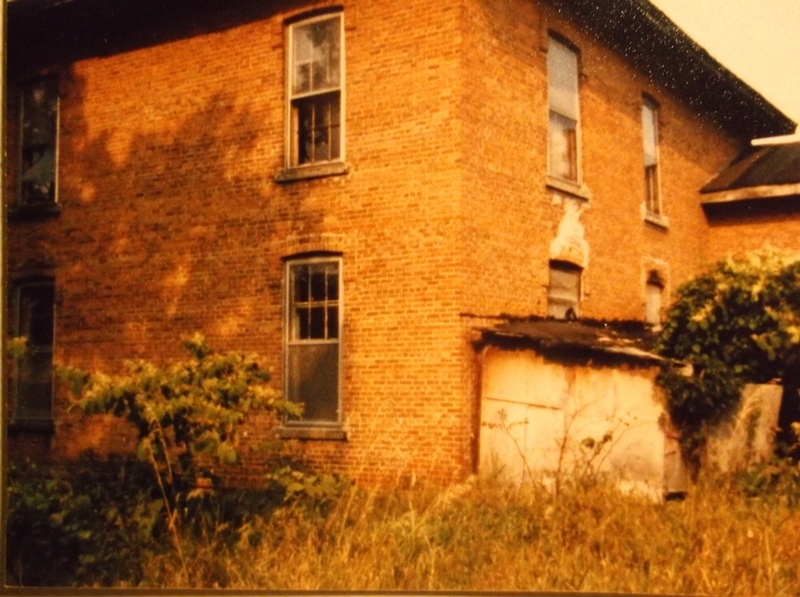 We bought the place in January 1995 and the haunted stories are too numerous to get into here in any great detail. Our first indication was within weeks of moving in when the back kitchen door opened several time on its own until R. said, “Okay, we know you’re here and you are welcome to stay, just stop opening this door and waking us up.” It never happened again. The porch light turned on and off on its own a lot at first. The television did the same. Kids toys have rolled out of rooms in which there were no kids (or anyone for that matter) playing with them. 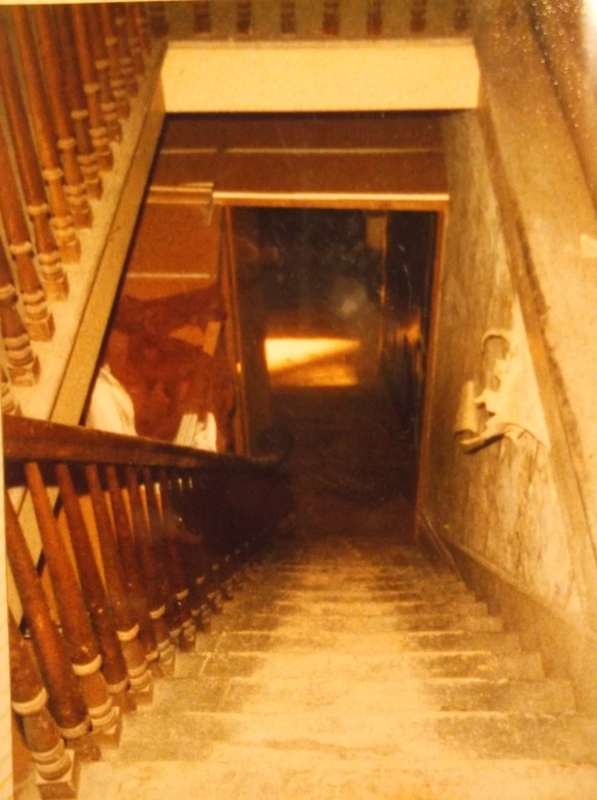 Footsteps have been heard going up the stairs or walking across the dining room. I’ve heard the front door open and close thinking my son was coming home from work only to go say hello and find no one there. I’ve heard footsteps come up the stairs and a bedroom door close as if one of my kids had arrived home only to find myself still alone. We attribute all of this to a man named Hermann who – by his own daughter’s telling – died in the bedroom upstairs that we designated as the guest room. Over the past years, I’ve grown rather fond of Hermann’s visits. He’s never done any harm to anyone and as far as I’m concerned he can visit whenever he likes. So, now you know why I’m A Believer. Other things have happened in other places. Not always pleasant things but each one has only solidified my belief that Spirit can and does return to this world and that we can interact with it.